This full tutorial is also available on SkillShare . 1 Go ahead and join this class using the link below. This is a full HTML and CSS tutorial for beginners. If you are new to HTML and CSS, this is a good tutorial to start with. By the end of this full tutorial you will know how to use HTML. You will also learn how to use CSS. For a beginner Web Designer, this tutorial is a must. If you are a designer and you have been using design applications such as Photoshop, Illustrator and so on. And you feel it is time to move on to Web design with HTML / CSS, then this course is perfect for you. You will first start by an introduction to HTML. After that, you will move on to CSS. The videos are short and covers one thing at time. You can start from any point that appeals to you. You will learn about various HTML tags. You will learn how to use them . Edit them and manipulate them to your liking. After learning about the various tags used in designing web pages. You will learn how to style them using CSS. You will learn various CSS elements and units. By the end of this full tutorial you will be comfortable with HTML and also CSS. You will then be ready to move on to more complex things that will enable you to become the great web designer that you want to be. This course is divided into short video segments. You can therefore re-watch them as many times as you need to. During the course, I will be there to assist you. If you have any questions, you will be able to contact me via Skillshare or Facebook. At any point if you have any question, feel free to reach me . You may create a discussion on skillshare . The discussion is just below the videos. Hence if you have a question while watching a video, just type your question right away. And I will be there to help you. Watch it fully on Udemy or SkillShare using the links below. This full tutorial is available on SkillShare . 1 Go ahead and join this class using the button below. HTML stands for Hypertext Markup Language . HTML is used for creating Web pages. 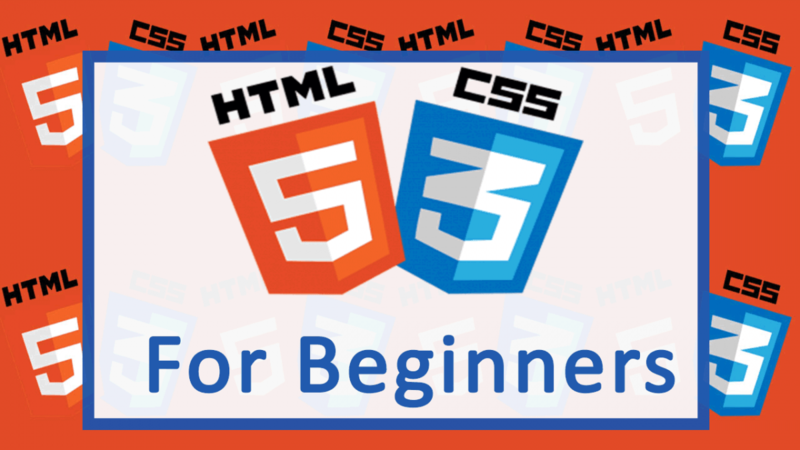 If you want to become a Web Designer or a Web Developer, you must learn some HTML and CSS (Cascading Style Sheets). Embedding Videos and any other snippets from other websites on your own website. Making WordPress Child Themes. Yes. Especially coupled with some CSS skills. Adding links, images and other HTML elements on your Website. On a WordPress website these could be added on the WP editor or on the widgets areas. You visit the internet everyday. You are a frequent visitor of Facebook, Twitter , YouTube and other blogs. Would it not be great if you had a good understanding of how these websites work. Would it not be wonderful to have a clue on how the sites are able to work so similarly. Yet be so different and be based upon the same foundation of HTML, CSS and other technologies. Personally, I would be depressed if I had no idea how websites work or are built. I bet you would be too. A knowledge of HTML will give you a foundational understanding of the sine qua non of building Websites and Web Applications. Once you have some HTML skills, you can help others without the knowhow to do update tasks. Of course you will also need to improve your knowledge, Immensely. Here is an example, if you know how to edit HTML templates. You can start charging people for that. There are so many people engaged in email Marketing. And at the core of this , there are email templates. You can make yourself the go to guy for editing email Marketing Templates. HTML is too easy to learn. There is no excuse here. In fact you just need to know how HTML works, How tags are written and the rest you can learn along your journey of life. Most things you will learn by experiencing them in real situations. Plus, there are so many tutorials online. So there is definitely no excuse. Then, you may need to start by learning HTML because you will not be comfortable following through with this languages if you are not well versed in HTML. No question. You must start by learning HTML. Do you want to build a career in Web Design or in Web Development. You will not be able to survive without HTML skills. It is so easy to learn that you should not even debate on whether you should learn it or not. Start with HTML and build your skills gradually. One technology at a time. Just bear in mind that HTML and CSS are the absolute sine qua non of web design and Web Development. This course is easy to follow because it is divided into short videos. It covers different topics in bite sizes. And by the end you will have a clear understanding of how HTML is used. It is available on Skillshare using the button provided below . You can ask me any question for as long as you are in the course. Life Time support for you. Once you finish this course. Which happens to be very short. You will be able to join the CSS class and become a master of both. This is a CSS tutorial for beginners. If you have zero skills in HTML ensure you go through the HTML course as well. HTML and CSS always go together. So start from the HTML course if you are unfamiliar with it. The CSS tutorial will cover everything in a very comprehensible manner. Ensure you follow along with me. And in the end you will certainly understand how css works. If your aim is to become a web designer or a web developer, then you must learn CSS and HTML . Join this course and learn to style websites. Cascading Style Sheets are the primary component for styling web pages. To build websites, web templates and themes, you must know CSS. This course is divided into short video segments.